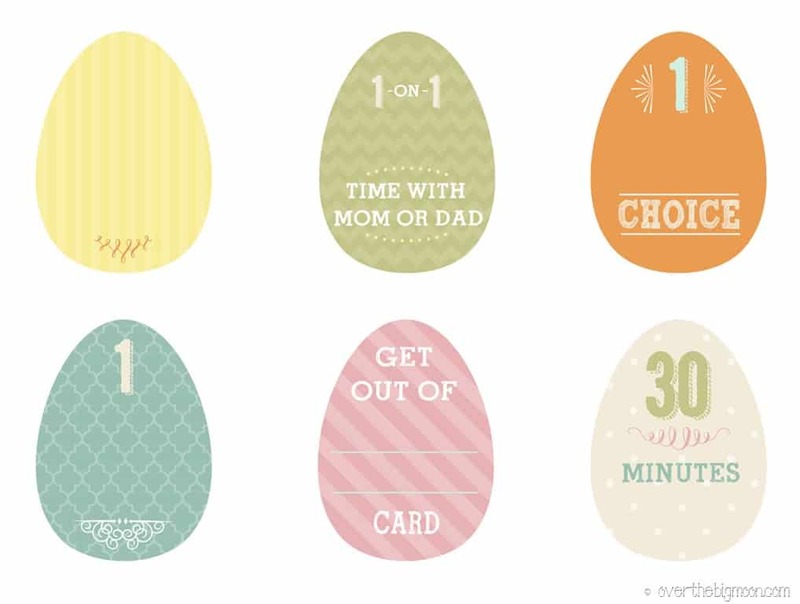 These Easter Egg Privilege Cards are the perfect addition to any Easter Egg Hunt! They can easily be folded and added to any egg! I am pretty sure my boys are going to flip when they see some of the fun things inside their eggs. 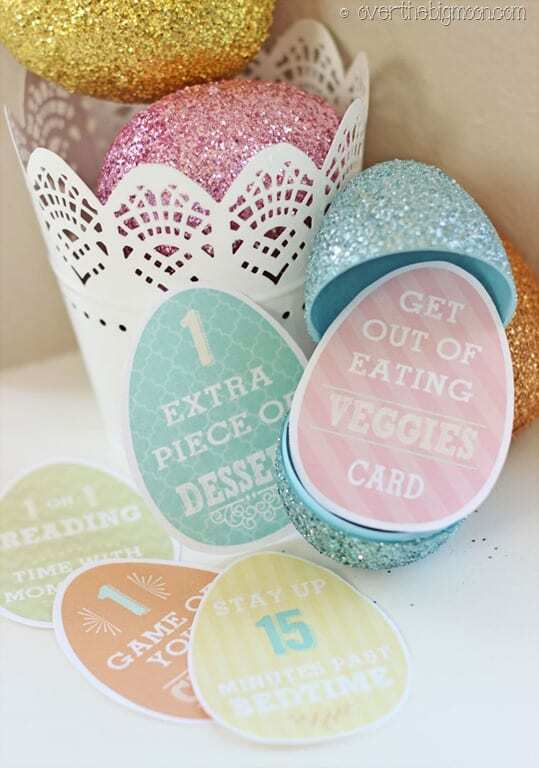 Less candy makes me happy too, so these are the perfect addition as a non-candy filler! I am offering them with privileges completed and also blank, so you can fill in your own ideas too! Looking for some other Easter Activities and Printables? Check these out! “Get out of eating your veggies” – yikes! This seems like a dangerous thing to describe as a privilege!! To each their own! Feel free not to use that card if you don’t want to. Lisa, Can I download all of them or just the 6 shown? When I click on download.. I only shows the 6. This is such a cute idea!!! 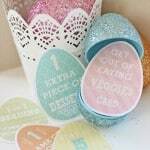 I was at a loss for what to put in Easter eggs! So cute! My kids would love the food options! What a great Idea, these will make Easter so much more fun!!! Have shared on G+ and Twitter. You’re too sweet Jillene! I hope we can find you at SNAP too! This is so creative. I’m totally doing this. Any reason to cut down on the candy. these are so cute! And such a great idea! 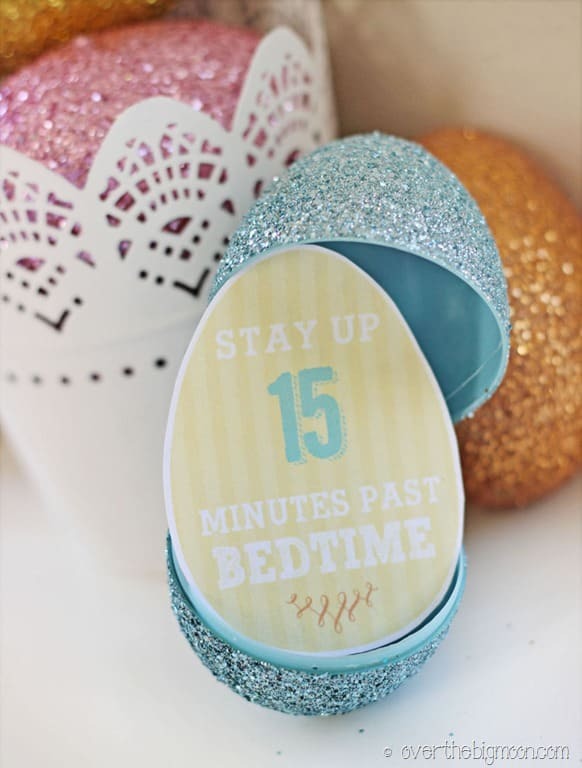 AND I LOVE the glitter eggs! thanks for inviting me to participate! Super cute idea Lisa! I am loving all the other printables too, so much talent! !